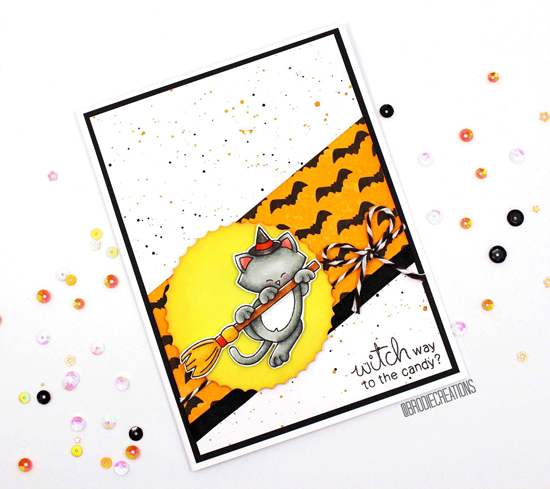 Design Team member Tatiana Trafivomich picked this Halloween card by Brodie Creations. This card uses our Newton's Boo-tiful Night Stamp Set. "A few elements on this card caught my eyes. First I have to mention a beautiful coloring on the kitty with a perfect shading that makes the image pop out. Next I love the layout and the personalized background made by repeatedly stamping the small bat using the same stamp set. So clever and cute!!! The color choice couldn’t be any perfect for Halloween theme! The bright yellowy-orange tones are well balanced with some black elements and the whole project is really pleasing to the eye!" Design Team member Amanda Bodine picked this lovely pumpkin card by Little Pink Caboose (Amanda Garrett). The card uses our Newton's Pumpkin Patch Stamp Set.
" I was mesmerized by her coloring on Newton's Pumpkin Patch. 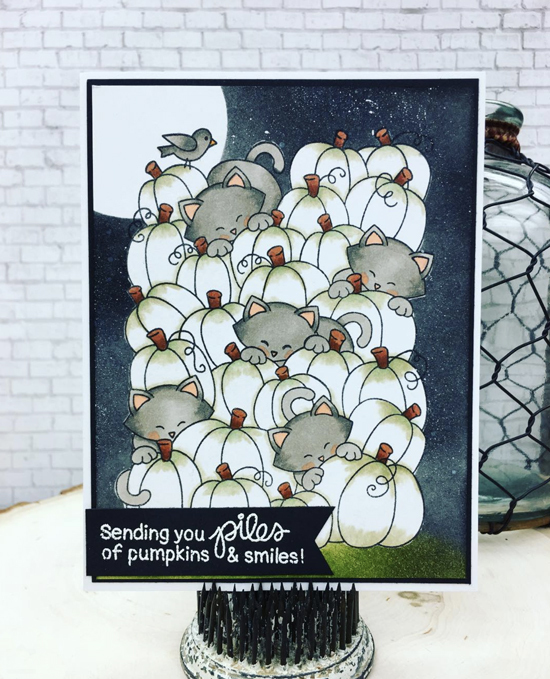 Her moonlit and starry night sky illuminated that gorgeous stack of white pumpkins and kitties so perfectly! Well done Amanda!" 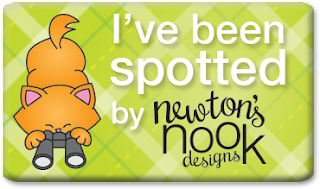 If you'd like to be considered for a future feature, tag your posts with #newtonsnook in social media to make sure we see them! I hope you enjoyed our Fan Picks this week!